The Bar Association of Jammu (BAJ) today expelled lawyer Devinder Singh Behal, who is associated with separatist leader Syed Ali Shah Geelani, after he was arrested by the NIA in a terror funding case. "As soon as we came to know about his (Behal) activities, we verified our records and immediately decided to expel him without any notice from the primary membership of the association," BAJ president B S Salathia told reporters here. 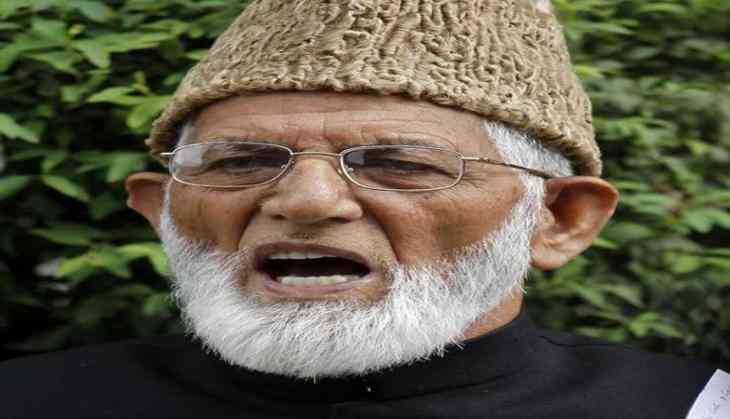 "Ours is a nationalist association and we will not tolerate the presence of any 'anti-national' element, whether associated with Hurriyat or any other group," he said. Widening its probe in the terror funding case, the National Investigation Agency (NIA) had on July 30 searched the office and residence of Behal over his alleged role in routing funds to separatists from their Pakistan-based handlers. Behal, chairman of Jammu and Kashmir Social Peace Forum (JKSPF) -- a constituent of Tehreek-e-Hurriayat headed by Geelani-- was arrested following which several of his public speeches during last year's unrest in the Valley went viral on social media, wherein he was heard shouting 'pro-freedom' and 'anti-India' slogans. Salathia said Behal became a member of the Bar Association of Jammu in 2013 on the recommendation of two senior advocates. He said even members of the association belonging to his community took a strong exception of his activities and recommended his expulsion. "The decision to expel him was unanimous and aimed at sending a clear message that we will not tolerate any anti-national activity," he said. The BAJ chief also advised senior lawyers to verify the credentials of those seeking membership of the association before recommending their cases, and asserted that a "conspiracy has been going on to intrude anti-national elements into the body to dilute its stand". READ NEXT >> Will Anurag Kashyap no longer part of Phantom?